Today, July 18th, is National Hot Dog Day! Whether they are grilled, boiled or cooked on a stick over a campfire, hot dogs are a favorite summertime staple. An estimated 20 billion hot dogs are consumed by Americans every year. That’s about 70 hot dogs per person each year. 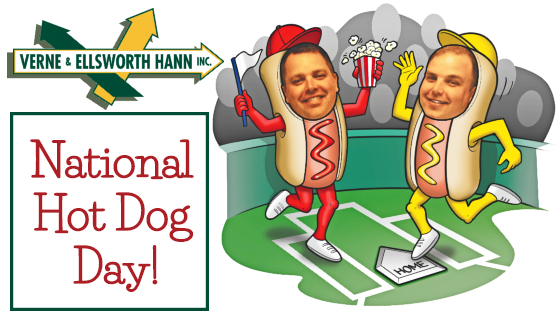 National Hot Dog Day was established in 1991 and is celebrated on the 3rd Wednesday in July. Over 25 million hot dogs are sold at baseball stadiums each year. If you’ve been to a Cleveland Indians baseball game, you’ve most likely bet on the hot dog race. This is where ketchup, mustard and onion race around the field and sabotage each other for the win. 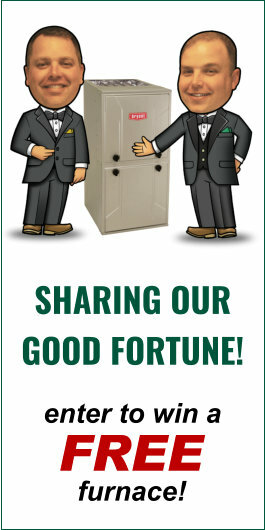 Verne & Ellsworth Hann, located in Cleveland Heights, supports our community. Whether it be local businesses, community activities or our sports teams. Owned and operated by brothers Bill and Chris Hann, Verne & Ellsworth Hann is a 5-generation heating, cooling and plumbing company servicing Cleveland Heights and Northeast Ohio. Specializing in steam and hot water boilers, Verne & Ellsworth Hann has been a leader in heating, cooling and plumbing for over 63 years and is the ONLY Hann family owned HVAC company in Cleveland. Let Verne & Ellsworth Hann handle all of your cooling needs this summer. And don’t forget to enjoy a hot dog today!